Santa Clarita, CA, September 17, 2014 -- /EPR NETWORK/ -- Nearly 350,000 people annually are victims of scalding or burns from accidents that occur while cooking, either on the grill or in the kitchen. Most involve saucepans or tea kettles. 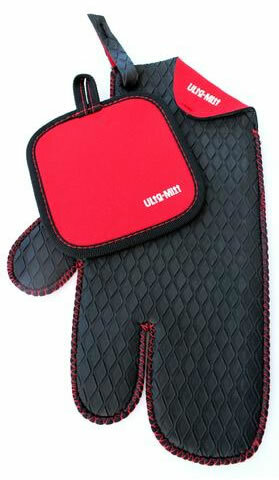 Many could be eliminated by using a proper padding device on the hands when touching pans that have been heated. Many hot pads just aren't made for high temperatures or kitchen dexterity when cooking. This can create more safety issues and actually create harm where they were supposed to bring assurance. One California man, Marcelo Garcia, has created a different kind of oven mitt built for safety and dexterity and has launched a Kickstarter campaign to bring this kitchen must have to the cooking masses that work well for anyone working in the kitchen, from beginner to Iron Chef. Perks for sponsors include sets of the gloves at manufacturer's discounts and ahead of their proposed scheduled appearance in stores appearance and for some lucky investors, a complete Healthy eating wooden handle wok cooking set. For those that can't give, the inventor hopes they will share this story to make the campaign viral through social media.